UPDATE: The SBC will vote next week, June 11 or 12, on a resolution encouraging all of its 16 million members to withdraw support of the Boy Scouts. 4,000 troupes sponsored by the SBC and 100,000 scouts would be directly affected. Read that full story here. By now you’ve heard that the Boy Scouts will be lifting the ban on gay members. The change will take effect on January 1. The ban on openly gay leaders will remain in place, but both sides agree it’s only a matter of time. I expect many local troupes will suddenly find they are unwelcome at local churches. Not on Sunday morning, but during their regular scout meetings in what would otherwise be an empty gym or fellowship hall. Churches that currently share their meeting space or even storage areas with Boy Scouts are suddenly going to see the Scouts as a “gay friendly” organization. Before it comes up at your local church, let me tell why this is a bad idea. If a church tells the Scouts they are no longer welcome to use their facilities a whole bunch of kids, most of whom are not gay, are going to get one clear message: You’re not welcome at church. Fighting the culture war has already hurt the Christian image, as we are much more recognizable for the things we are against. Christians are known for being against abortion and against gay marriage, not for being people of the Book or for sharing the Gospel. Kicking out a group of kids that meet Thursday night in your basement, because one of them might be gay, is going to come back and bite us in the long run. The church in America has an image problem; the problem is that we worry a lot about our image. Jesus ate with sinners and tax collectors, talked to women and Samaritans, made friends with poor people, touched lepers and spent a lot of time with guys that smelled like fish. Most of his followers wouldn’t be welcome in our churches already. Another consideration is this: if we only shop at Christian stores, only eat at Christian restaurants, only send our kids to Christian school and so forth, who do we witness to? How can we be the salt and light of this world is we completely withdraw from everyone who is not like us? This entry was posted in Uncategorized and tagged America, boy scouts, church, gay members, gay rights. Bookmark the permalink. 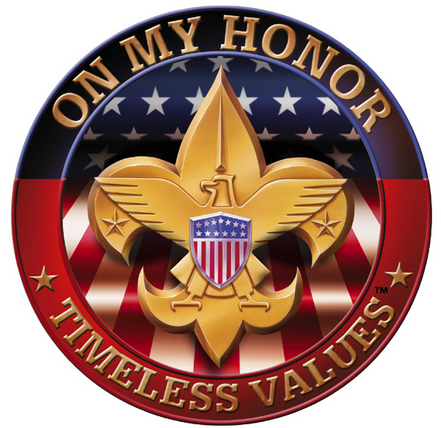 In the short term I expect many local churches to stop their support of the Boy Scouts. By this time next year I can imagine Christians forming their own version of the scouts, in typical GodTube and Christian Mingle fashion. You know about the music lists, right? If you like Creed then you should try Kutless. If you like Avril Lavigne then you should try Jennifer Knapp. If you like Boy Scouts of America try Christian Scouting. OH this is so sad. I have a very good friend that is gay. He tells me all the time that I am the only christian that shows him love. WHY? YOU are so right. We need to stop fighting and start loving. Where are the true christians? We better start stepping up and showing all people the true Messiah Jesus. If we don’t many people will be lost. I am afaid for the childern of today. Fresh perspective on the Boy Scouts and how the Church needs to respond. I got a chance to pray for a gay couple the other day. The prayer was for physical healing only, but I could feel the love of Christ reaching out to them on a whole other level. Who knows where this kind of generousity in the Church (and church) will lead?